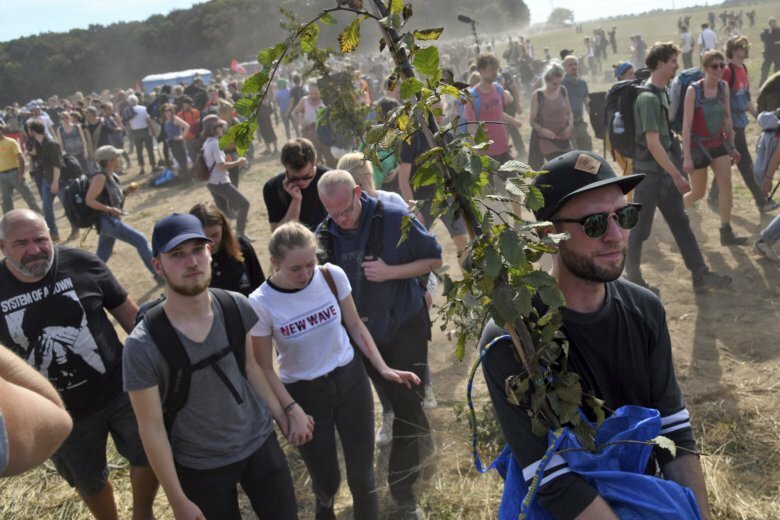 BERLIN (AP) — Thousands of people are protesting against the expansion of a coal strip mine in western Germany that would entail the clearing of an ancient forest. German news agency dpa reported that two men who were hiding inside a makeshift tunnel left voluntarily after medics warned they could run out of oxygen. Environmental groups hope a government-appointed committee examining the future of Germany’s coal industry will recommend halting large-scale cutting in Hambach forest.